Many people believe that cosmetic surgery should be a last resort to change a part of your body or face if there is no other option. Cosmetic surgery can often help you achieve the impossible. It can help you change your appearance in drastic ways and potentially make you impossible to distinguish after your procedure. However, it’s an invasive surgery (in most situations) and many people are put off by the idea of going under the knife. While cosmetic surgery is definitely the way to go if you have the funds, patience and understand the risks, it’s certainly not the only way to change your appearance. Let’s start by mentioning that not all cosmetic surgery is actually invasive. For instance, botox to reduce frown lines doesn’t require you to go under the knife. You simply inject the botox and the procedure is finished. These types of non-invasive treatments are limited and you’ll need to speak with specialists to get the treatment. 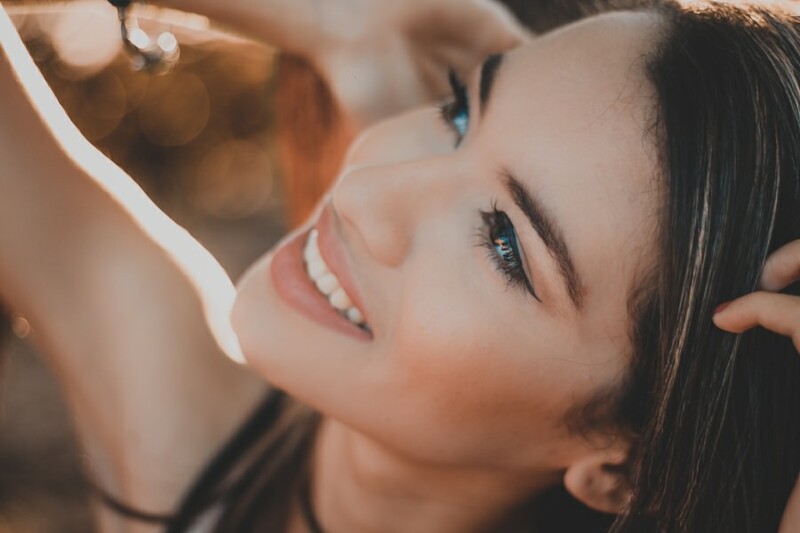 However, you might find that it’s exactly what you’re looking for and you could get the ideal appearance that you’re looking for without putting yourself through invasive cosmetic procedures. Non-invasive procedures are often limited to facial features. For instance, botox to reduce frown lines was already mentioned, but you can also tighten your face to prevent wrinkles forming. Another popular non-invasive treatment is laser skin resurfacing which gives you a younger-looking face by removing blotches, scars, acne scars and even wrinkles. These types of treatment take several hours and healing requires a couple of days. While non-invasive, there are some risks to these types of treatments so it’s always a good idea to do your research and only trust licensed cosmetic surgeons that are well-trained in their respective fields. You may have limited options in actually changing your physical appearance, but that doesn’t mean you can’t do something about your outward appearance in general. Even the prettiest of people would look terrible in poorly coordinated clothes and rags, which is why learning how to style yourself can be a great way to change your appearance without requiring too much work. The first step is to learn about colors. Learn what colors clash, learn which colors compliment each other and fill your wardrobe with plenty of accessories and garments in different styles. The more you learn about colors, the easier it will be to create a unique outfit that is personal to you, yet looks stunning and stands out. Another way to style yourself is to learn how to do your own hair. Sure, a hairdresser is probably the better option in this case, but that doesn’t mean you can’t learn to self-style your hair and adorn it with accessories likes pins and scrunchies to give it a more interesting look. The goal here is to look for inspiration on the internet and to take ideas here and there to create your own style. Styling yourself also relies on the type of fashion you have available to you. This might sound expensive (especially if all you know are high-end brands) but it’s completely possible to look fashionable on a budget. You don’t need to spend excessive amounts of money and you don’t need to obsess over brands. In most cases, looking comfortable in your clothing is far more important than wearing specific brands of clothing. If you need help, then there are plenty of articles on the internet detailing how to style yourself with plenty of guides in both video and text form. You could also ask more fashionable friends or even consult your local hairdresser or clothes store. It’s been said many times that our outward appearance is just a reflection of what we are like on the inside. This essentially means that the better you take care of your body, the better your appearance will be. This includes taking good care of what you put into your body, drinking plenty of water to stay hydrated and also giving yourself plenty of time to rest and sleep. All of these healthy habits can have a profound effect on your appearance. For instance, if you fail to get enough sleep then your body doesn’t have enough time to repair itself. There’s a reason it’s called “beauty sleep”–it’s because your body uses sleep to heal your cells, repair damage to your body and ultimately put it into a better state. In addition, failing to get enough sleep will lead to heavy bags under your eyes because you’re constantly tired. Bags and circles under your eyes are telltale signs that you’ve had a few too many late nights and they can negatively affect your appearance. These changes won’t happen overnight. It takes time for healthy habits to start showing on your outward appearance, so don’t give up after a couple of weeks or months. The idea is to practice healthier habits so that they become a natural part of your life and not something you have to force yourself to do. As you can see, there are plenty of ways to improve your appearance without needing to go under the knife and undergo cosmetic surgery. While these methods are slower and take a bit more effort, they’re long-term solutions for long-term goals. There are plenty of shortcuts in life that you can take, but sometimes, it’s safer and more satisfying to take the longer route that will give you guaranteed results.